Neutrinos are intriguing in more ways than one. And although the fact that they have such tiny mass explains their quirky behavior, their allure remains intact. The issue is that neutrino masses are not predicted by the Standard Model; thus, on its own, the existence of a neutrino with mass is an indication of new physics. And that’s what scientists around the world, including at IceCube, want to learn: what type of new physics are neutrinos pointing to? New physics could appear in the form of a new type of neutrino or it could help us understand the nature of dark matter. The possibilities are endless. In a new search for nonstandard neutrino interactions, the IceCube Collaboration has tested theories that introduce heavy bosons, such as some Grand Unified Theories. These heavy bosons would explain, for example, why neutrinos have masses much smaller than their lepton partners. The study resulted in new constraints on these models, which are among the world’s best limits for nonstandard interactions in the muon-tau neutrino sector. These results have just been submitted to Physical Review D.
Confidence limits from this analysis are shown as solid vertical red lines. The light blue and light green vertical lines show previous limits by Super-Kamiokande and another study using IceCube data at higher energy. Credit: IceCube Collaboration. The flavor of neutrinos oscillates as they travel through matter or empty space, a quantum effect on macroscopic scales that proves that they have mass. When atmospheric neutrinos reach IceCube after crossing the Earth, they have often morphed from muon into tau neutrinos. If TeV-scale bosons predicted by nonstandard theories exist, they will modify the probability that a given type of neutrino oscillates into other types. The result is that the disappearance pattern of muon neutrinos in IceCube will change, with effects that span a large range of energies. In IceCube, for studies using atmospheric neutrinos that sail through the Earth, these nonstandard interactions (NSIs) can be parametrized in terms of the strength of muon neutrino to tau neutrino morphing due to an NSI, a parameter called . IceCube researchers have analyzed three years of data, using the same neutrino sample used for a recent measurement of the neutrino oscillation parameters, but with an additional selection criterion to improve the signal purity. The remaining 4,625 candidate neutrino events were used to fit the oscillation parameters, including the NSI contribution. The 90% confidence level upper limit on the NSI parameter is consistent with previous measurements by Super-Kamiokande, which at that time had set the world’s best limits. The new IceCube measurement slightly improves Super-Kamiokande’s measurements, also extending the energy range. A more recent study using published IceCube data at even higher energies has also set limits on the parameter, which in turn were slightly more stringent than the ones of the present study. A new result from the Daya Bay collaboration reveals both limitations and strengths of experiments studying antineutrinos at nuclear reactors. As nuclear reactors burn through fuel, they produce a steady flow of particles called neutrinos. Neutrinos interact so rarely with other matter that they can flow past the steel and concrete of a power plant’s containment structures and keep on moving through anything else that gets in their way. Physicists interested in studying these wandering particles have taken advantage of this fact by installing neutrino detectors nearby. A recent result using some of these detectors demonstrated both their limitations and strengths. In 2011, a group of theorists noticed that several reactor-based neutrino experiments had been publishing the same, surprising result: They weren’t detecting as many neutrinos as they thought they would. The case of the missing neutrinos was a familiar one. In the 1960s, the Davis experiment located in Homestake Mine in South Dakota reported a shortage of neutrinos coming from processes in the sun. Construction of the Homestake Mine tank. BNL. Other experiments confirmed the finding. In 2001, the Sudbury Neutrino Observatory in Ontario demonstrated that the missing neutrinos weren’t missing at all; they had only undergone a bit of a costume change. Neutrinos come in three types. Scientists discovered that neutrinos could transform from one type to another. The missing neutrinos had changed into a different type of neutrino that the Davis experiment couldn’t detect. 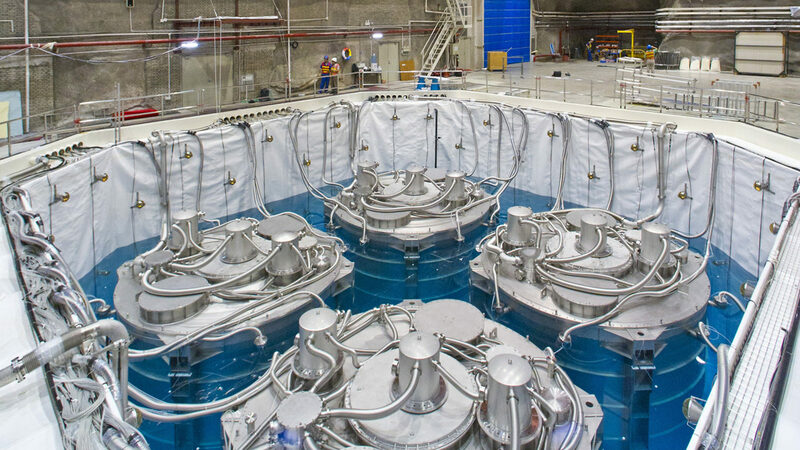 Since 2011, scientists have wondered whether the reactor antineutrino anomaly was a sign of an undiscovered type of neutrino, one that was even harder to detect, called a sterile neutrino. A new result from the Daya Bay experiment in China not only casts doubt on that theory, it also casts doubt on the idea that scientists understand their model of reactor processes well enough at this time to use it to search for sterile neutrinos. The Daya Bay experiment studies antineutrinos coming from six nuclear reactors on the southern coast of China, about 35 miles northeast of Hong Kong. The reactors are powered by the fission of uranium. Over time, the amount of uranium inside the reactor decreases while the amount of plutonium increases. The fuel is changed—or cycled—about every 18 months. The main goal of the Daya Bay experiment was to look for the rarest of the known neutrino oscillations. It did that, making a groundbreaking discovery after just nine weeks of data-taking. But that wasn’t the only goal of the experiment. “We realized right from the beginning that it is important for Daya Bay to address as many interesting physics problems as possible,” says Daya Bay co-spokesperson Kam-Biu Luk of the University of California, Berkeley and the US Department of Energy’s Lawrence Berkeley National Laboratory. For this result, Daya Bay scientists took advantage of their enormous collection of antineutrino data to expand their investigation to the reactor antineutrino anomaly. Using data from more than 2 million antineutrino interactions and information about when the power plants refreshed the uranium in each reactor, Daya Bay physicists compared the measurements of antineutrinos coming from different parts of the fuel cycle: early ones dominated by uranium through later ones dominated by both uranium and plutonium. n theory, the type of fuel producing the antineutrinos should not affect the rate at which they transform into sterile neutrinos. According to Bob Svoboda, chair of the Department of Physics at the University of California, Davis, “a neutrino wouldn’t care how it got made.” But Daya Bay scientists found that the shortage of antineutrinos existed only in processes dominated by uranium. Their conclusion is that, once again, the missing neutrinos aren’t actually missing. This time, the problem of the missing antineutrinos seems to stem from our understanding of how uranium burns in nuclear power plants. The predictions for how many antineutrinos the scientists should detect may have been overestimated. This knock against the reactor antineutrino anomaly does not disprove the existence of sterile neutrinos. Other, non-reactor experiments have seen different possible signs of their influence. But it does put a damper on the only evidence of sterile neutrinos to have come from reactor experiments so far. Other reactor neutrino experiments, such as NEOS in South Korea and PROSPECT in the United States will fill in some missing details. NEOS scientists directly measured antineutrinos coming from reactors in the Hanbit nuclear power complex using a detector placed about 80 feet away, a distance some scientists believe is optimal for detecting sterile neutrinos should they exist. PROSPECT scientists will make the first precision measurement of antineutrinos coming from a highly enriched uranium core, one that does not produce plutonium as it burns. The Daya Bay result offers the most detailed demonstration yet of scientists’ ability to use neutrino detectors to peer inside running nuclear reactors. Some scientists are interested in monitoring nuclear power plants to find out if nuclear fuel is being diverted to build nuclear weapons. “Suppose I declare my reactor produces 100 kilograms of plutonium per year,” says Adam Bernstein of the University of Hawaii and Lawrence Livermore National Laboratory. “Then I operate it in a slightly different way, and at the end of the year I have 120 kilograms.” That 20-kilogram surplus, left unmeasured, could potentially be moved into a weapons program. 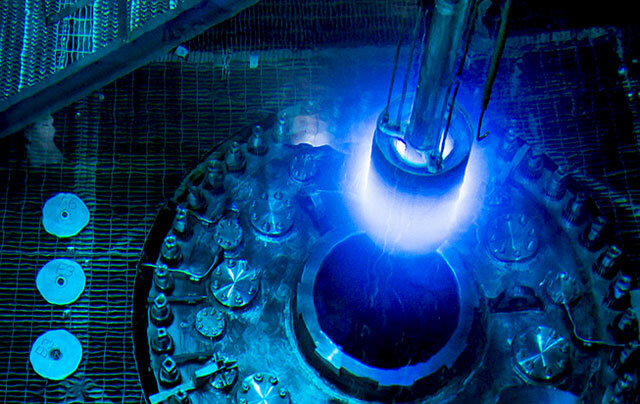 Current monitoring techniques involve checking what goes into a nuclear power plant before the fuel cycle begins and then checking what comes out after it ends. In the meantime, what happens inside is a mystery. Neutrino detectors allow scientists to understand what’s going on in a nuclear reactor in real time. Scientists have known for decades that neutrino detectors could be useful for nuclear nonproliferation purposes. Scientists studying neutrinos at the Rovno Nuclear Power Plant in Ukraine first demonstrated that neutrino detectors could differentiate between uranium and plutonium fuel. Most of the experiments have done this by looking at changes in the aggregate number of antineutrinos coming from a detector. 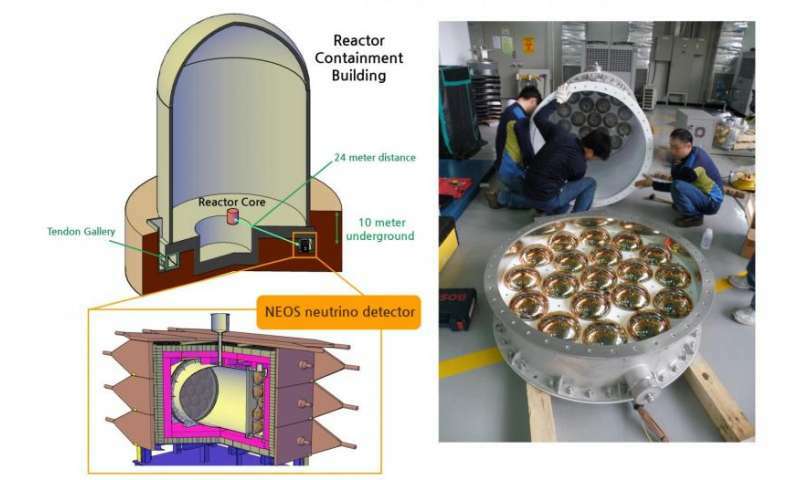 Daya Bay showed that neutrino detectors could track the plutonium inventory in nuclear fuel by studying the energy spectrum of antineutrinos produced. 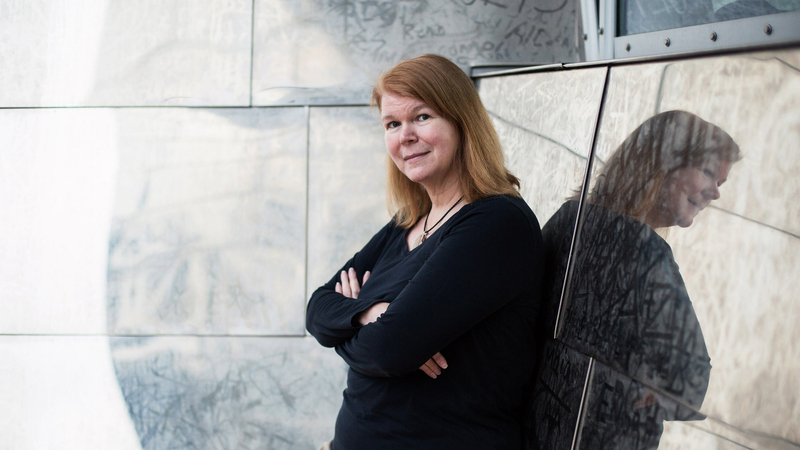 JANET CONRAD: The Standard Model of particle physics has done very well in predicting what’s going on, but there’s a great deal it can’t explain — for example, dark matter. Right now we’re desperately looking for clues as to what the larger theory would be. We have been working on ideas, and in many of these “grand unified theories,” you actually get sterile neutrinos falling out of the theory. If we were to discover that there were these extra neutrinos, it would be huge. It would really be a major clue to what the larger theory would be. I started out thinking I was going to be an astronomer. I went to Swarthmore College and discovered that astronomy is cold and dark. I was lucky enough to get hired to work in a particle physics lab. I worked for the Harvard Cyclotron, which was at that time treating eye cancers. 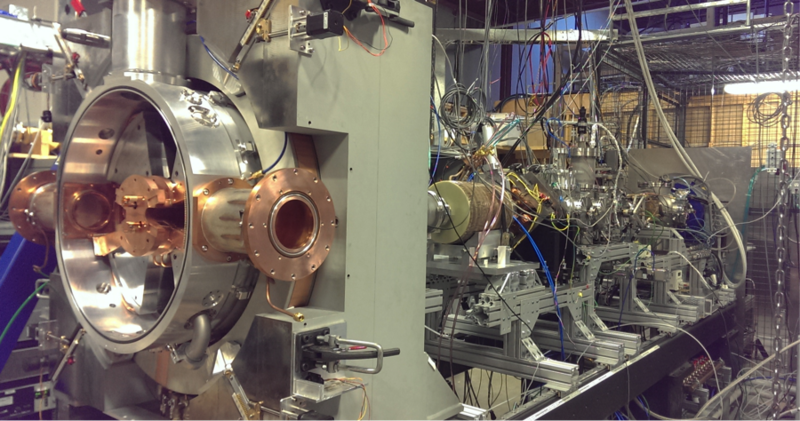 But in the evenings physicists would bring their detectors down and calibrate them using the same accelerator. I was really interested in what they were doing and got a position the next summer at Fermilab [FNAL]. It was such a good fit for me. I just think the idea of creating these tiny little universes is so wondrous. Every collision is a little world. And the detectors are really big and fun to work on — I like to climb around stuff. I liked the juxtaposition of the scales; this incredibly tiny little world you create and this enormous detector you see it in. What I would really like to see is a future series of experiments that are really decisive. One possibility for this is IsoDAR, which is part of a larger experiment called DAEδALUS. IsoDAR will take a small cyclotron and use it as a driver to produce lithium-8 that decays, resulting in a very pure source of antielectron neutrinos. If we paired that with the KamLAND detector in Japan, then you would be able to see the whole neutrino oscillation. You don’t just measure an effect at a few points, you can trace the entire oscillation wave. The National Science Foundation has given us a little over $1 million to demonstrate the system can work. We’re excited about that. Cyclotrons were invented back at the beginning of the last century. The prototype cyclotrons built by E.O. Lawrence. On display at the Lawrence Hall of Science. Picture by Deb McCaffrey. 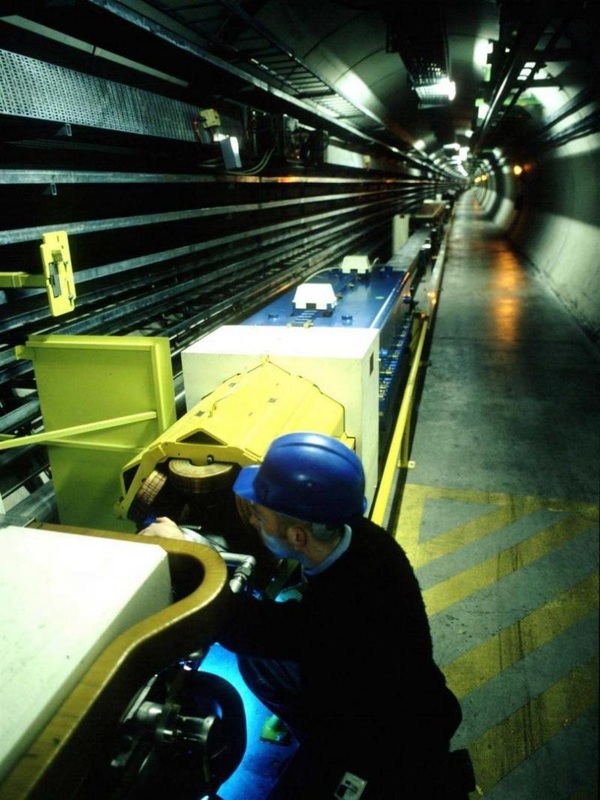 They were limited in energy, and as a result, they went out of fashion as particle physicists decided that they needed larger and larger accelerators going up to higher and higher energies. But in the meantime, the research that was done for the nuclear physics community and also for medical isotopes and for treating people with cancer took cyclotrons in a whole different direction. They’ve turned into these amazing machines, which now we can bring back to particle physics. There are questions that can perhaps be better answered if you are working at lower energies but with much purer beams, with more intense beams, and with much better-understood beams. And they’re really nice because they’re small. You can bring your cyclotron to your ultra-large detector, whereas it’s very hard to move Fermilab to your ultra-large detector. The MINOS and Daya Bay experiments weigh in on the search for sterile neutrinos. 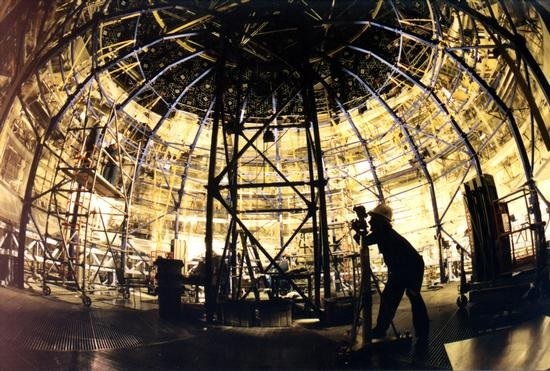 In the 1990s, the Liquid Scintillator Neutrino Detector (LSND) experiment at Los Alamos National Laboratory saw intriguing hints of an undiscovered type of particle, one that (as of yet) cannot be detected. In 2007, the MiniBooNE experiment at the US Department of Energy’s Fermi National Accelerator Laboratory followed up and found a similar anomaly. Today scientists on two more neutrino experiments—the MINOS experiment at Fermilab and the Daya Bay experiment in China—entered the discussion, presenting results that limit the places where these particles, called sterile neutrinos, might be hiding. In three separate papers—two published individually by MINOS and Daya Bay and one jointly, all in Physical Review Letters—scientists on the two experiments detail the results of their hunt for sterile neutrinos. Both experiments are designed to see evidence of neutrinos changing, or oscillating, from one type to another. Scientists have so far observed three types of neutrinos, and have detected them changing between those three types, a discovery that was awarded the 2015 Nobel Prize in physics. What the LSND and MiniBooNE experiments saw—an excess of electron neutrino-like signals—could be explained by a two-step change: muon neutrinos morphing into sterile neutrinos, then into electron neutrinos. MINOS and Daya Bay measured the rate of these steps using different techniques. MINOS, which is fed by Fermilab’s neutrino beam—the most powerful in the world—looks for the disappearance of muon neutrinos. MINOS can also calculate how often muon neutrinos should transform into the other two known types and can infer from that how often they could be changing into a fourth type that can’t be observed by the MINOS detector. Daya Bay performed a similar observation with electron anti-neutrinos (assumed, for the purposes of this study, to behave in the same way as electron neutrinos). The combination of the two experiments’ data (and calculations based thereon) cannot account for the apparent excess of neutrino-like signals observed by LSND. That along with a reanalysis of results from Bugey, an older experiment in France, leaves only a very small region where sterile neutrinos related to the LSND anomaly could be hiding, according to scientists on both projects. The IceCube collaboration, which measures atmospheric neutrinos with a detector deep under the Antarctic ice, recently conducted a similar search for sterile neutrinos and also came up empty. All of this might seem like bad news for fans of sterile neutrinos, but according to theorist André de Gouvea of Northwestern University, the hypothesis is still alive. 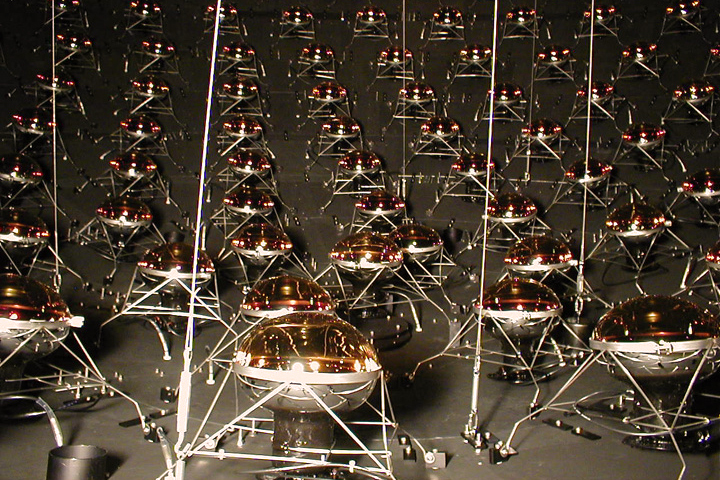 Theorists have predicted the existence of sterile neutrinos based on anomalous results from several different experiments. The results from MINOS and Daya Bay address the sterile neutrinos predicted based on the LSND and MiniBooNE anomalies. Theorists predict other types of sterile neutrinos to explain anomalies in reactor experiments and in experiments using the chemical gallium. Much more massive types of sterile neutrinos would help explain why the neutrinos we know are so very light and how the universe came to be filled with more matter than antimatter. Searches for sterile neutrinos have focused on the LSND neutrino excess, de Gouvea says, because it provides a place to look. If that particular anomaly is ruled out as a key to finding these nigh-undetectable particles, then they could be hiding almost anywhere, leaving no clues. “Even if sterile neutrinos do not explain the LSND anomaly, their existence is still a logical possibility, and looking for them is always interesting,” de Gouvea says. Scientists around the world are preparing to search for sterile neutrinos in different ways. Fermilab is preparing a three-detector suite of short-baseline experiments dedicated to nailing down the cause of both the LSND anomaly and an excess of electrons seen in the MiniBooNE experiment. These liquid-argon detectors will search for the appearance of electron neutrinos, a method de Gouvea says is a more direct way of addressing the LSND anomaly. One of those detetors, MicroBooNE, is specifically chasing down the MiniBooNE excess. Scientists at Oak Ridge National Laboratory are preparing the Precision Oscillation and Spectrum Experiment (PROSPECT), which will search for sterile neutrinos generated by a nuclear reactor. CERN’s SHiP experiment, which stands for Search for Hidden Particles, is expected to look for sterile neutrinos with much higher predicted masses. Obtaining a definitive answer to the sterile neutrino question is important, Evans says, because the existence (or non-existence) of these particles might impact how scientists interpret the data collected in other neutrino experiments, including Japan’s T2K, the United States’ NOvA, the forthcoming DUNE, and other future projects. DUNE in particular will be able to look for sterile neutrinos across a broad spectrum, and evidence of a fourth kind of neutrino would enhance its already rich scientific program. A search for sterile neutrinos with the IceCube detector has found no evidence for the hypothetical particles, significantly narrowing the range of masses that a new kind of neutrino could possibly have. Figure 1: To search for sterile neutrinos, the IceCube experiment looks for the disappearance of atmospheric muon neutrinos (νμ) that have traveled to its detector (black dots) through the Earth. If sterile neutrinos exist, then the matter in Earth’s core should enhance the oscillation of muon neutrinos into sterile neutrinos (νS), creating a larger disappearance of muon neutrinos than would be expected with only the three standard neutrino flavors. Neutrinos only interact with matter through the feeblest of forces, the weak nuclear force and gravity, yet they play critical roles in an incredible range of phenomena. They influenced the formation of the early Universe and may be the reason why matter came to dominate over antimatter shortly after the big bang. They are also integral to the inner workings of stars, including during their explosive demise as a supernova. Moreover, neutrinos are practically everywhere: even a single banana emits a million neutrinos a day from the unstable potassium isotopes it contains. Although only three types of neutrino are known to exist, hints of a new kind of neutrino that solely interacts with matter through gravity have appeared in several experiments. If such a “sterile” neutrino does indeed exist, it might also play an important role in the evolution of the Universe. The hunt for sterile neutrinos has gone on for decades and has been full of twists and turns, with tantalizing positive signals that were later found to be in tension with null results in follow-up experiments. Now the world’s largest neutrino detector, the IceCube experiment at the South Pole, has released an analysis that eliminates a large portion of the parameter space in which sterile neutrinos could exist . Standard neutrinos come in three flavors, each of which is associated with a charged partner: the electron, muon, or tau particle. The discovery that neutrinos oscillate, meaning one type of neutrino can transform into another, led to the realization that each flavor state is a linear superposition of three mass states with masses m1, m2, and m3—a beautiful example of basic quantum mechanics at work (see 7 October 2015 Focus story.) Based on precision oscillation measurements, we know that the mixing between neutrinos is quite large compared to similar effects among the quarks. Also, the distance needed for one neutrino type to turn into another, the neutrino oscillation wavelength, is determined by the difference between the squared masses of the participating mass states. These differences, m22−m21 and m23−m22, are known with good precision for the standard neutrinos. However, experiments have found possible evidence for neutrinos oscillating with a wavelength that doesn’t match any combination of the known neutrino masses. The most significant results are from the Liquid Scintillator Neutrino Detector (LSND) experiment at Los Alamos National Lab, which observed electron antineutrinos appearing in a beam of muon antineutrinos , and from the Mini Booster Neutrino Experiment (MiniBooNE) at Fermilab, which found excesses of both electron neutrinos and antineutrinos . 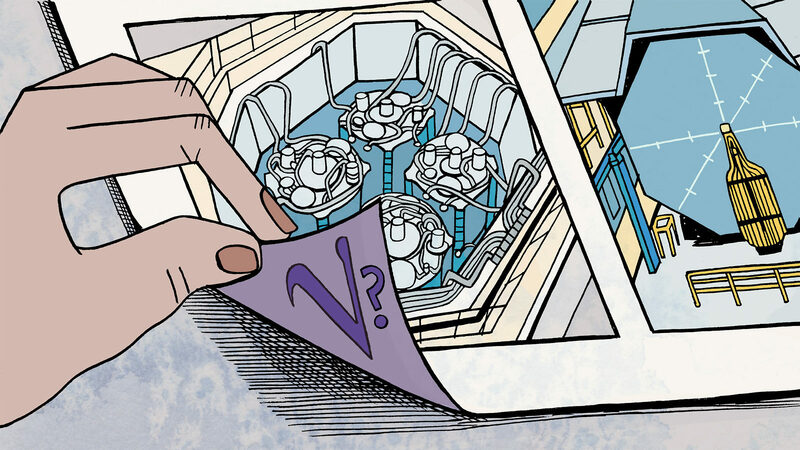 Other hints come from the anomalous disappearance of electron neutrinos and antineutrinos produced in nuclear power reactors  or by powerful radioactive sources [5, 6]. Neutrino oscillations involving sterile neutrinos can be understood if there is a fourth mass state with mass m4. This fourth state must be mostly sterile, containing only a small mixture of the standard neutrino flavors. If it exists, then it should be possible to observe small-amplitude neutrino oscillations with a wavelength set by the difference between m24 and the square of the mass of one of the standard neutrino mass states. (Limits on the neutrino masses from cosmological measurements suggest that the hypothetical fourth mass state would have to be heavier than the standard neutrino mass states.) So far, the positive experimental hints for sterile neutrinos point to a squared-mass difference somewhere in the range 0.1–10 eV2. Unlike the “traditional” particle physics experiments that have undertaken searches for sterile neutrinos, IceCube is primarily designed to detect high-energy neutrinos from some of the most powerful astrophysical events in the Universe. The detector is spread over a cubic kilometer and consists of thousands of optical sensors buried in the Antarctic ice. When a high-energy neutrino interacts with the ice, it creates charged particles. These in turn produce large amounts of light. From the amplitude and timing of these light signals, the IceCube researchers can reconstruct the properties of the parent neutrino that induced the interaction. The key to IceCube’s sensitivity to sterile neutrinos is its ability to determine, with high accuracy, the energy and arrival direction of muon neutrinos and antineutrinos that are produced in Earth’s atmosphere with energies around 1 TeV. Normally, the oscillation of muon neutrinos caused by an additional neutrino mass state should be small. But if this oscillation occurs as the neutrinos pass through dense matter, it may be greatly enhanced by a so-called matter-induced resonance effect , creating a sizable disappearance of the muon neutrinos at certain energies. (The precise energy depends on the mass of the hypothetical fourth mass state.) In a unique experiment, the IceCube researchers have tapped into this matter effect by looking for the disappearance of atmospheric muon neutrinos and antineutrinos that have arrived from the North Pole and have therefore passed through Earth’s dense core (see Fig. 1). They looked for this disappearance for neutrinos and antineutrinos with energies between 320 GeV and 20 TeV, a range in which the matter effect has not been explored before. Assuming the additional neutrino mass state is heavier than the known neutrinos, a nearly 100% disappearance of muon antineutrinos is expected at the resonant energy. However, no such disappearance is observed in the energy range explored by IceCube. IceCube’s finding places strong limits on the possible existence of a sterile neutrino. 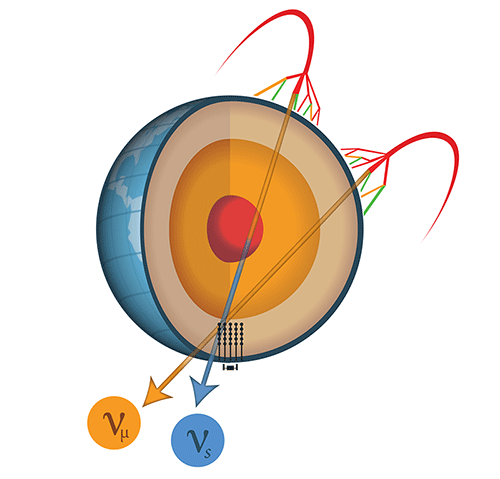 In fact, a new analysis incorporating IceCube’s result with data from other experiments indicates that the value of the possible sterile-neutrino mass splitting is now limited to a small region around 1 to 2 eV2 . Several new experiments are being constructed to explore exactly this region. Researchers are, for example, planning next-generation experiments to search for the disappearance of electron antineutrinos from nuclear reactors and radioactive sources. At Fermilab, we are building the Short-Baseline Neutrino (SBN) program using an accelerator neutrino beam and three precision detectors . SBN will investigate both muon-neutrino disappearance and electron-neutrino appearance with maximum sensitivity in exactly the 1–2 eV2 region. With the first SBN detector already running and the remaining two scheduled to begin operation in 2018, we are poised to settle the question of the sterile neutrino’s existence in the coming years. Whether we will soon rule out the possibility of sterile neutrinos in this region or are narrowing in on a thrilling discovery is still to be determined. But thanks to IceCube’s new result, we have a much better idea of where to look. M. G. Aartsen et al. (IceCube Collaboration), “Searches for Sterile Neutrinos with the IceCube Detector,” Phys. Rev. Lett. 117, 071801 (2016). Beam,” Phys. Rev. D 64, 112007 (2001). Oscillations in the MiniBooNE Experiment,” Phys. Rev. Lett. 110, 161801 (2013). Neutrino Source Experiments in GALLEX,” Phys. Rev. B 420, 114 (1998). J. N. Abdurashitov et al. (SAGE Collaboration), “Measurement of the Response of a Gallium Metal Solar Neutrino Experiment to Neutrinos from a 51Cr Source,” Phys. Rev. C 59, 2246 (1999). H. Nunokawa, O. L. G. Peres, and R. Zukanovich Funchal, “Probing the LSND Mass Scale and Four Neutrino Scenarios with a Neutrino Telescope,” Phys. Lett. B 562, 279 (2003). G. H. Collin, C. A. Arguelles, J. M. Conrad, and M. H. Shaevitz, “First Constraints on the Complete Neutrino Mixing Matrix with a Sterile Neutrino,” arXiv:1607.00011. R. Acciarri et al. (ICARUS-WA104, LAr1-ND, MicroBooNE Collaborations), “A Proposal for a Three Detector Short-Baseline Neutrino Oscillation Program in the Fermilab Booster Neutrino Beam,” arXiv:1503.01520. What do you call the ghost of a ghost? If you’re a particle physicist, you might call it a sterile neutrino. Neutrinos, known more colorfully as “ghost particles,” can pass through (almost) anything. If you surrounded the Sun with five light years’ worth of solid lead, a full half of the Sun’s neutrinos would slip right on through. Neutrinos have this amazing penetrating capability because they do not interact by the electromagnetic force, nor do they feel the strong nuclear force. The only forces they feel are the weak nuclear force and the even feebler tug of gravity. When Wolfgang Pauli first postulated neutrinos in 1930, he thought that his proposed particles could never be detected. In fact, it took more than 25 years for physicists to confirm that neutrinos—Italian for “little neutral ones”—were real. Now, physicists are hunting for something even harder to spot: a hypothetical ghostlier breed of neutrinos called sterile neutrinos. Today, we know of three different “flavors” of neutrinos: electron neutrinos, muon neutrinos and tau neutrinos (and their antimatter equivalents). In the the late 1960s, studies of the electron-type neutrinos emitted by the Sun led scientists to suspect that they were somehow disappearing or morphing into other forms. Measurements made in 1998 by the Super Kamiokande experiment strongly supported this hypothesis, and in 2001, the Sudbury Neutrino Observatory clinched it. One of the limitations of studying neutrinos from the Sun and other cosmic sources is that experimenters don’t have control over them. However, scientists can make beams of neutrinos in particle accelerators and also study neutrinos emitted by man-made nuclear reactors. When physicists studied neutrinos from these sources, a mystery presented itself. It looked like there weren’t three kinds of neutrinos, but rather four or perhaps more. Ordinarily, this wouldn’t be cause for alarm, as the history of particle physics is full of the discovery of new particles. However, in 1990, researchers using the LEP accelerator demonstrated convincingly that there were exactly three kinds of ordinary neutrinos. Physicists were faced with a serious puzzle. There were some caveats to the LEP measurement. It was only capable of finding neutrinos if they were low mass and interacted via the weak nuclear force. This led scientists to hypothesize that perhaps the fourth (and fifth and…) forms of neutrinos were sterile, a word coined by Russian physicist Bruno Pontecorvo to describe a form of neutrino that didn’t feel the weak nuclear force. Searching for sterile neutrinos is a vibrant experimental program and a confusing one. Researchers pursuing some experiments, such as the LSND and MiniBoone, have published measurements consistent with the existence of these hypothetical particles, while others, like the Fermilab MINOS team, have ruled out sterile neutrinos with the same properties. Inconsistencies abound in the experimental world, leading to great consternation among scientists. In addition, theoretical physicists have been busy. There are many different ways to imagine a particle that doesn’t experience the strong, weak, or electromagnetic forces (and is therefore very difficult to make and detect); proposals for a variety of different kinds of sterile neutrinos have proliferated wildly, and sterile neutrinos are even a credible candidate for dark matter. Perhaps the only general statement we can make about sterile neutrinos is that they are spin ½ fermions, just like neutrinos, but unlike “regular” neutrinos, they don’t experience the weak nuclear force. Beyond that, the various theoretical ideas diverge. Some predict that sterile neutrinos have right-handed spin, in contrast to ordinary neutrinos, which have only left-handed spin. Some theories predict that sterile neutrinos will be very light, while others have them quite massive. If they are massive, that could explain why ordinary neutrinos have such a small mass: perhaps the mathematical product of the masses of these two species of neutrinos equals a constant, say proponents of what scientists call the “see-saw mechanism”; as one mass goes up, the other must go down, resulting in low-mass ordinary neutrinos and high-mass sterile ones. 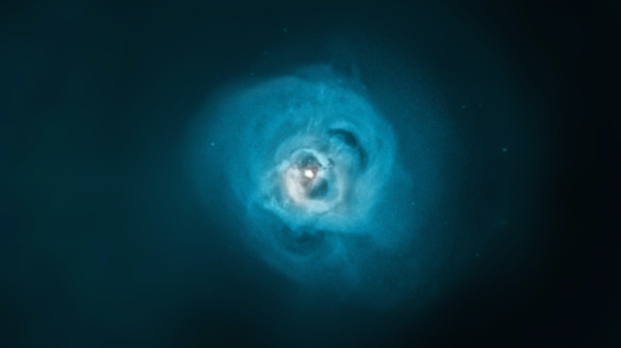 Now, some astronomers have proposed sterile neutrinos could be the source of a mysterious excess of x-rays coming from certain clusters of galaxies. Both NASA’s Chandra satellite and the European Space Agency’s XMM-Newton have spotted an excess of x-ray emission at 3.5 keV. It is brighter than could immediately be accounted for by known x-ray sources, but it could be explained by sterile neutrinos decaying into photons and regular neutrinos. However, one should be cautious. There are tons of atomic emission lines in this part of the x-ray spectrum. One such line, an argon emission line, happens to be at 3.62 keV. In fact, if the authors allow a little more of this line than predicted, the possible sterile neutrino becomes far less convincing. Thus the signal is a bit sketchy and could easily disappear with a better understanding of more prosaic sources of x-ray emission. This is not a criticism of the teams who have made the announcement, but an acknowledgement of the difficulty of the measurement. Many familiar elements emit x-rays in the 3.5 keV energy range, and though the researchers attempted to remove those expected signals, they may find that a fuller accounting negates the “neutrino” signal. Still, the excess was seen by more than one facility and in more than one cluster of galaxies, and the people involved are smart and competent, so it must be regarded as a possible discovery. It is an incredible long shot that the excess of 3.5 keV x-ray from galaxy clusters is a sterile neutrino but, if it is, it will be a really big deal. 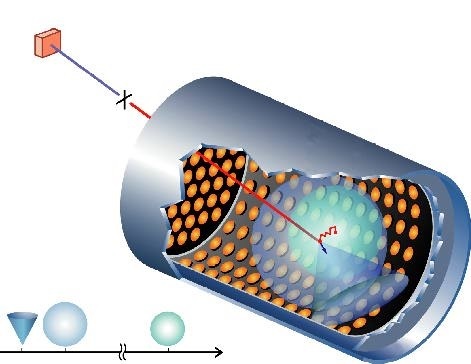 The first order of business is a more detailed understanding of more ordinary emission lines. Unfortunately, only time will tell if we’ve truly seen a ghost.